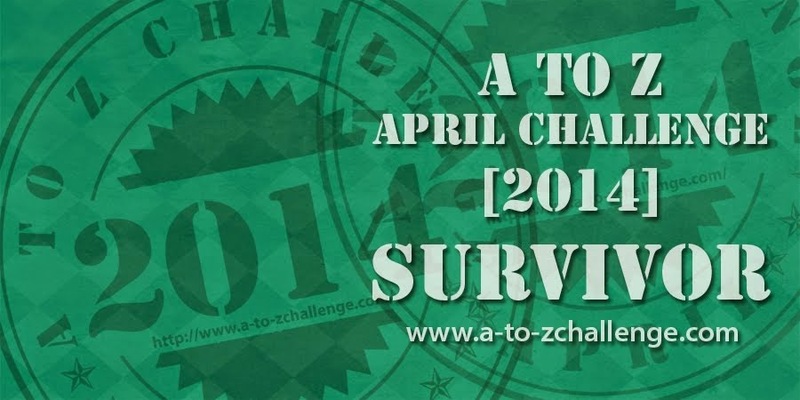 As like last year, in the whim of a blogging frenzy I signed up for the A to Z Challenge. Last year’s theme was A to Z of Arabic words in English. It suited my tagline and the exact reason of why I started this blog – my love for words. Much has changed in my personal life over the gap of a year. It has been an exhilarating roller-coaster ride. Alhamdulilah. Hence this year’s theme will be more closer home. More personal. More intimate. The theme for April A to Z Challenge 2015 will be ‘ Letter’s to my unborn child’. I hope to read and interact with more blogs this year. Looking forward to reading them hun! Sometimes it’s a good thing to do something like this. I applaud your brave and loving spirit. That sounds like a great theme. Sometimes it’s good to shift our typical theme, either for personal reasons or to try to gain more regular readers. This is a beautiful theme! This is a very beautiful theme and I like that it is more personal. I look forward to reading your posts. What an awesome theme! I’ll be following…. That’s s sweet theme that will eventually mean a lot to a little someone. I look forward to be following from A to Z – good luck, and stay with it (I know it’s hard work)! Fantastic idea for a theme! great theme! as a mum I love that idea! I think that is a very sweet theme! Good luck with it and enjoy the challenge!